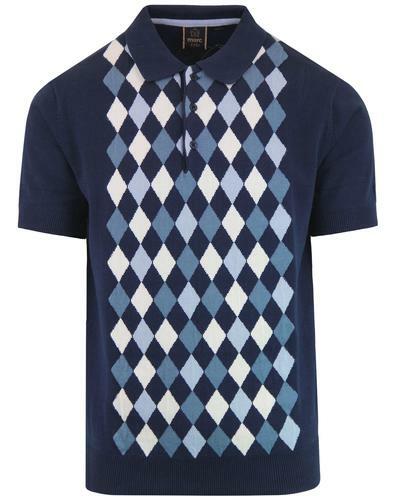 LUKE 1977 'FORTUNATE' MENS RETRO SIXTIES MIX FABRIC SMART MOD POLO SHIRT (Shiraz). So you gotta ask yourself one question... are you fortunate! 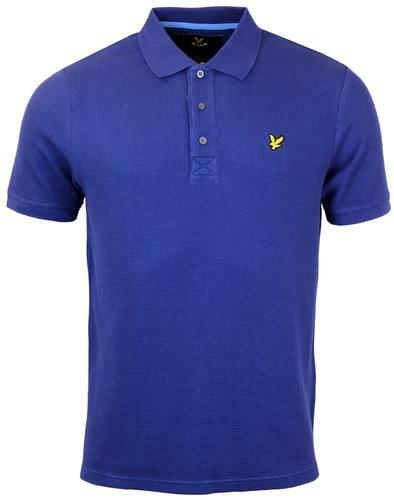 LUKE 1977 Mens Retro 'Fortunate' Polo shirt in a Vintage textured fabric mix. 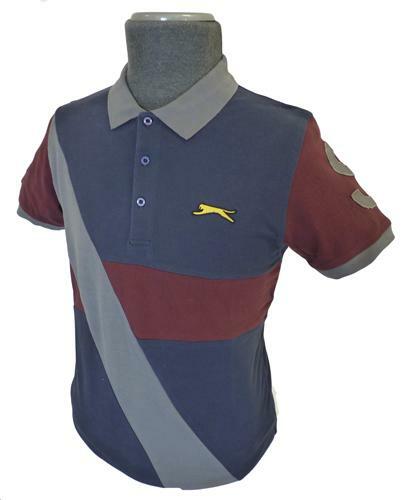 A sauve Sixties MOd shiraz colou way is enhanced by the jersey and pique panels, neat button detail and LUKE 1977 embroidered motif. The tailored Mod concealed placket adds a sophisticated edge and the striking Retro shirting stripe trim to the Mod Button down collar and cuffs finishes the garment off in style. 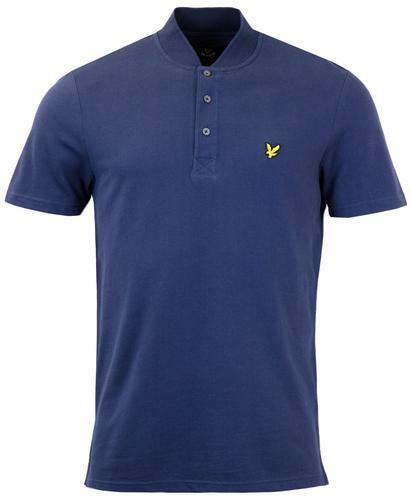 'Fortunate' Mens Retro Mod Polo Shirt by LUKE 1977. ... are you 'Fortunate' enough to own one! 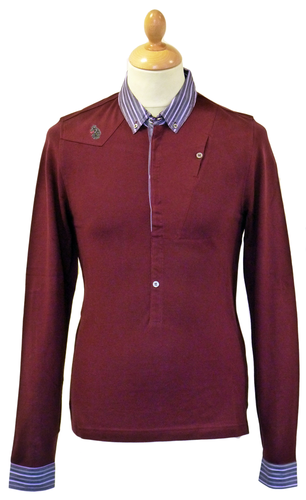 LUKE 1977 'FORTUNATE' MENS RETRO SIXTIES MOD TAILORED FABRIC MIX POLO SHIRT. 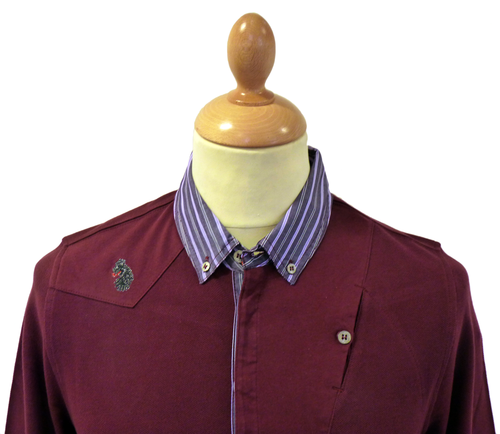 'FORTUNATE' MENS RETRO SIXTIES FABRIC MIX BUTTON DOWN MOD POLO TOP by LUKE 1977 - Mens shiraz Retro polo shirt with pique and jersey panels. Sixties Mod button down collar and cuffs in a cool Retro shirting stripe trim. 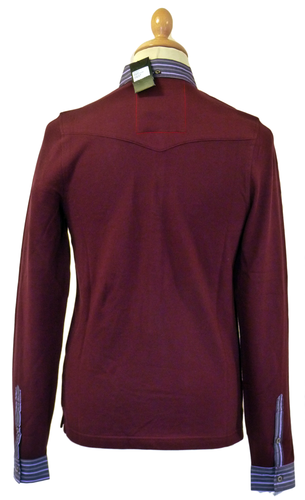 Concealed button lacket with just a couple of visible Luke 1977 buttons to add an air of Military Indie authority. Finished with Luke 1977 lion motif to shoulder. 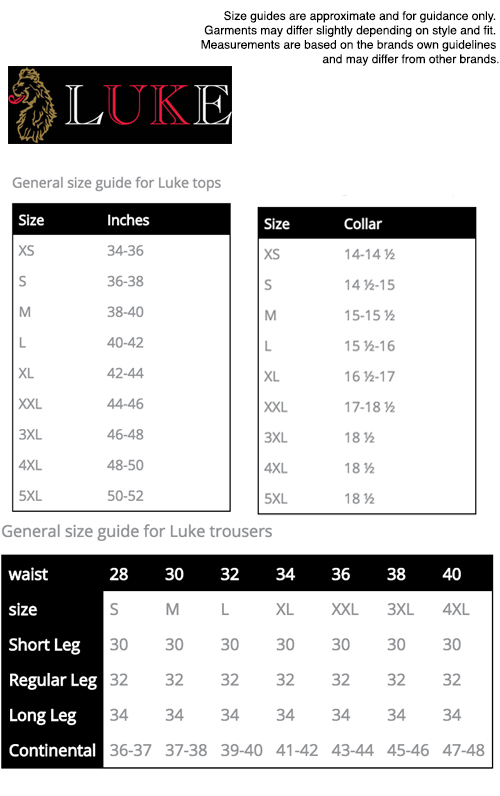 Brand: LUKE 1977 Mens Clothing. 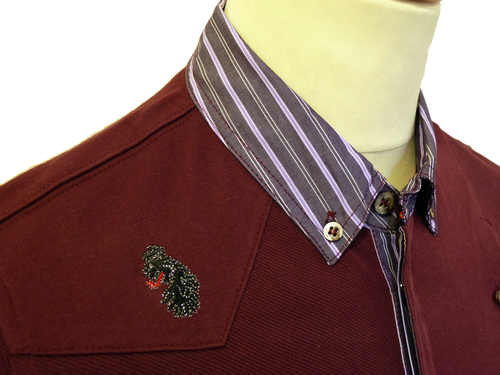 SKU: M190210 'Fortunate' LUKE 1977 Mix Fabric Polo Shirt. LUKE 1977 'Fortunate' Mens Retro Sixties Mod Mix Fabric Polo Shirt.